Last week, I posted pictures of the paper boxes I've been making for the fall festival where I'll be having a booth. 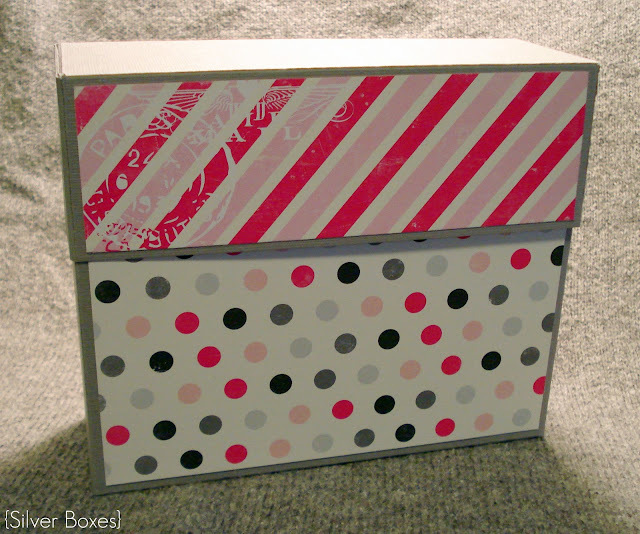 The boxes are for housing handmade cards. I had a number of requests for a tutorial on how to make them, so here we go! Just a fair warning: this post is very photo heavy so you can see the instructions rather than just reading them. 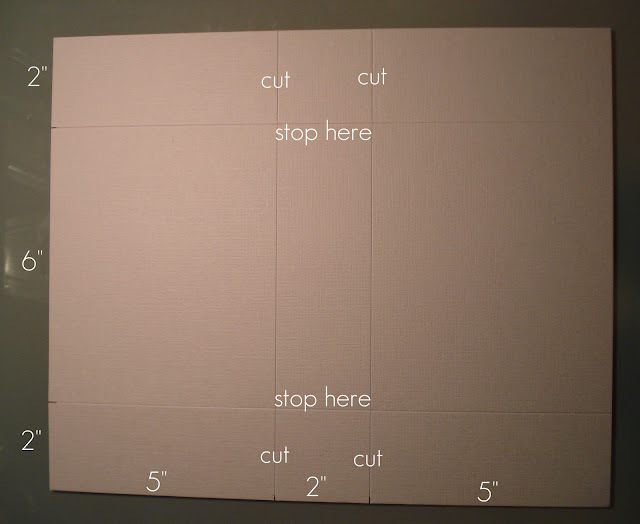 1) Cut one of the sheets of cardstock down to 10x12. Discard small strip. 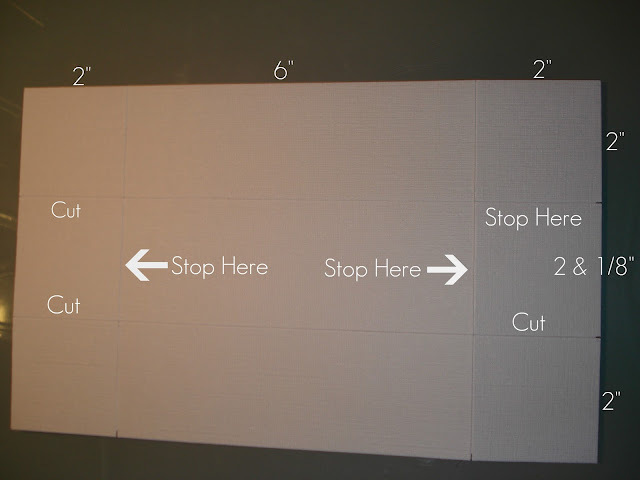 4) Now fold all the scored lines. These squares will be on the inside of the box. There. You're done with the bottom of the box for now. 1) Start with your second piece of 12x12 cardstock. Trim it down to 6 & 1/8 x 10. You need that extra 1/8th of an inch because if you don't have it the lid won't fit over the bottom. 2) Measure & score as shown below. 3) Cut the sides according to this diagram. 4) Fold the scored lines & start putting it together as you did the bottom. Here's the box. Now it's time to decorate! I keep it simple by adding some co-ordinating paper to the top & the bottom. You really could do whatever you wanted though. In the past, I've added tags, brads, ribbon, buttons, & rub ons. You can do as much or as little as you want. If you are still reading, please let me say thank you & congratulations! Once you make a few of these, it will be old hat & you'll be able to mass produce at a whim. If you have questions please let me know & I'll do my best to answer. Thanks for sticking with me through all those photos & measurements! Thank you for sharing this great tutorial! I just started papercrafting with my Silhouette and was looking for a fun way to store my creations. You make it look very easy to put together. Can't wait to make one! these are awesome! thank you so much...can't wait to make some! Very nice tutorial. Clear and to the point!